The plan was simple. 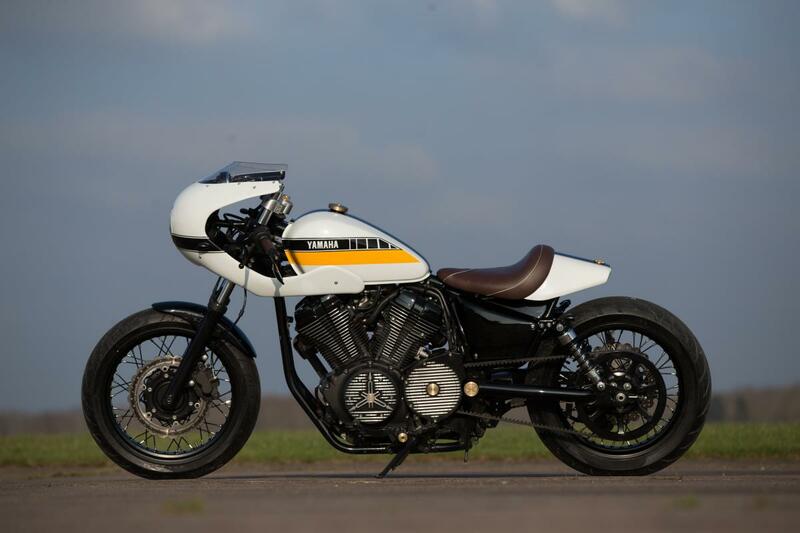 I thought it would be an interesting assignment to see what a relative novice like myself could do to Yamaha’s XV950 with some bolt-on, third-party parts and a little imagination. That was the plan. But then things got a little out of hand. An 1800 mile weekend trip to Biarritz last summer proved to me just what a great and comfortable bike the stock XV950 actually is, but after a while I found myself aching in the lower back and wanting for a little more speed, so I began to naturally lean forward and tuck-in. 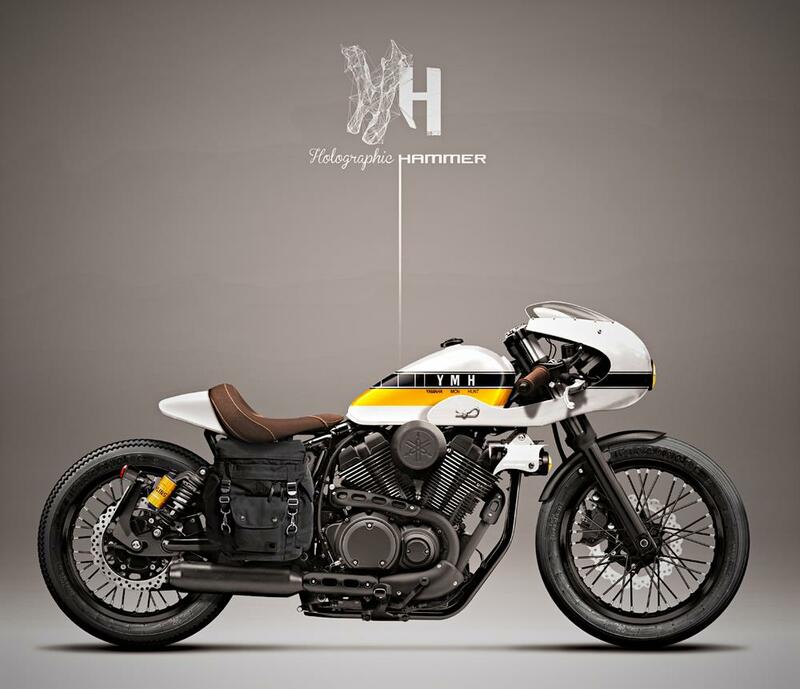 By the time I’d met Sylvain Berneron (the man behind the Holographic Hammer) my mind was already made up - I wanted to turn the laid-back XV950 into a straight line, Horizon destroyer. Like a bullet train. A bullet bike if you will. Tony Taysom and Larry Houghton from Lamb are craftsmen and within days of our first meeting they had already begun working on what would become the ‘Dangan’ ('Bullet' in Japanese). 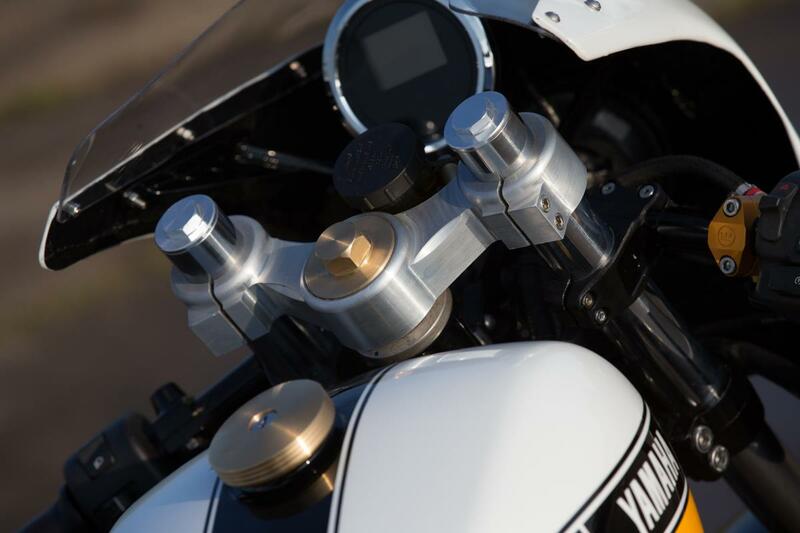 Hand pressed aluminium panels began to be formed, whilst CNC-machined, billet found its way onto the engine and clutch plates; not to mention the entirely new top yoke fabricated by Larry because he ‘fancied doing something different’. I had been given one rule by Yamaha when they agreed to me doing something different with their loan bike - I was to promise not to ‘cut or weld’ anything. In theory this machine would be going back into stock at the end of the year so everything that I did had to be reversible. So because of that, the Dangan is entirely ‘plug and play’. Everything can be reversed and the bike can be entirely returned back to it’s stock, cruiser looks with just a few hours work. A process which began very early on after purchasing and fitting (in less than 30 mins) a rear subframe from Greg Hageman - the one used on his own 'Bolt' build. This laid the foundation for the fairing - where most of Lambs’ attention has been paid - ensuring that it bolts easily onto the existing frame and, after a little rehousing of the centre dial, providing a superb cockpit from which to pilot the ride. There were some trickier challenges however. I couldn’t find donor wheels from an older Yamaha, so if we were going to change up to 18” wheels from the 19” front and 16” rear on the stock model, I only had one option - to butcher the official Yamaha accessory wheels and get them re-made in the correct size. This was the single, most expensive component of the entire build. At £1400 for the pair of stock rims and hubs, another £750 for the amazing work from Central Wheel and £230 for the ‘customised’ Pirelli Angel GTs, it’s an incredible amount of money to spend. But these are the touchpoints of the bike with the road, the sole contact between all that machinery and the ground. 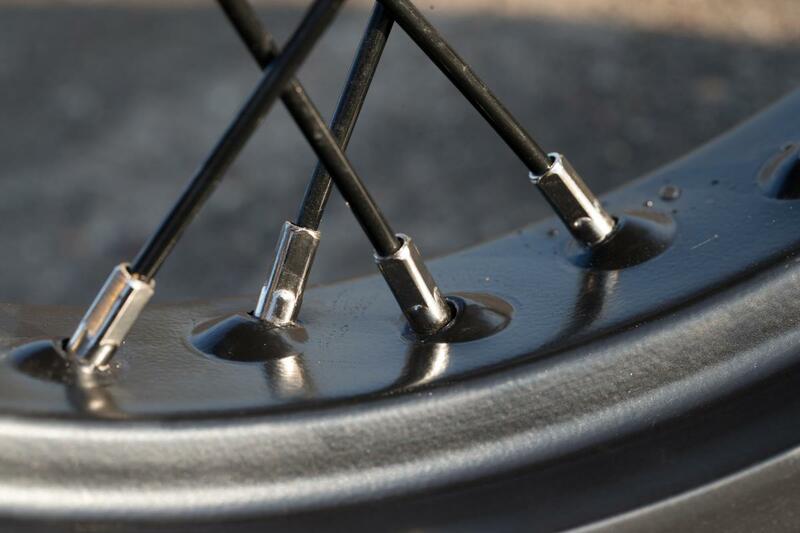 And - let’s be perfectly honest - spoked wheels just look too good not to do it. The same was true of the levers and master-cylinders. 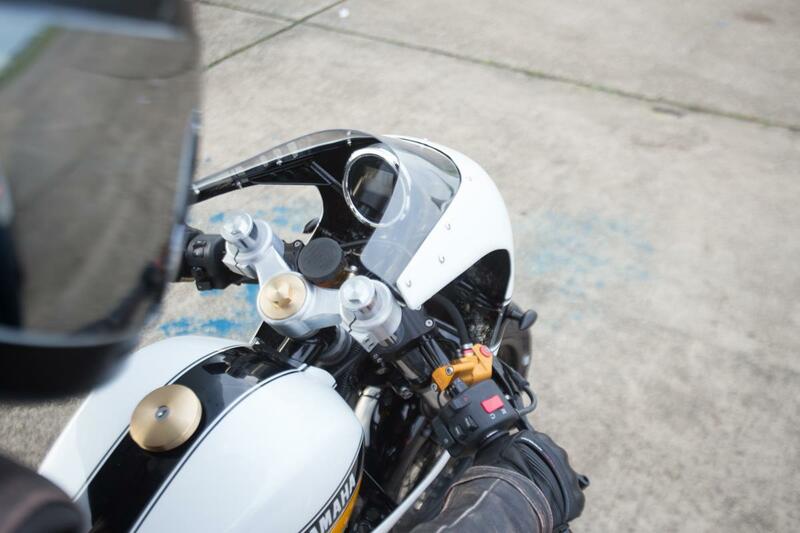 The stock master cylinder on the XV950 is a large, square, moulded piece of plastic and proved just too large to fit any sleek fairing around. So we pulled it out and looked for a suitable donor. 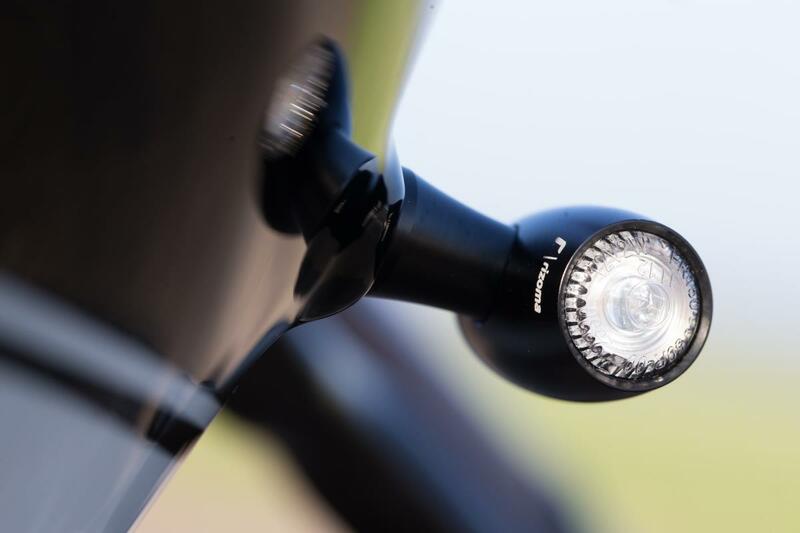 For a bike that’s focused on straightline speed, it made sense to expend some effort on the braking, so we fitted a Magura HC-3 setup which offers some great, tweaking abilities as well as fantastic feel back through the lever. The stock brakes already felt more than capable but with this change and the addition of some solid Venhill cables, we’ve moved into some ‘next level’ feedback. Finer details began to arrive from Lamb on an almost daily basis. 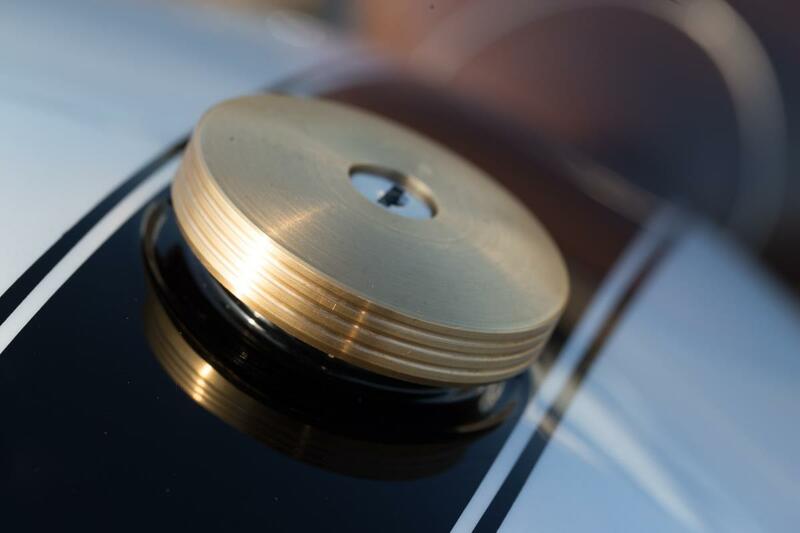 A brass, Yamaha medallion - embedded into the tail unit - was joined by freshly milled end-caps and a beautiful filler cap. 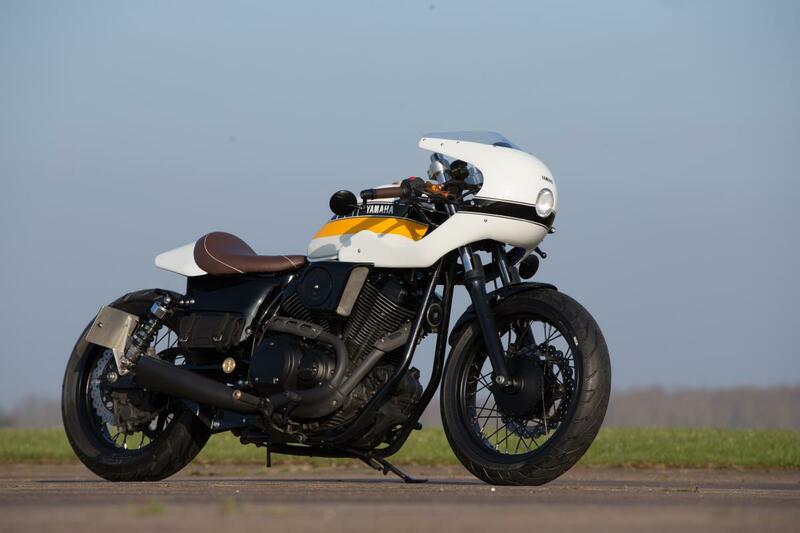 Whereas at the beginning of the work I was worried I wouldn’t be able to make the XV950 build different enough from stock; in reality It became a job to stop the guys at Lamb from re-fabricating every last bolt. They are machines! It’s important to remember that often, less is more. 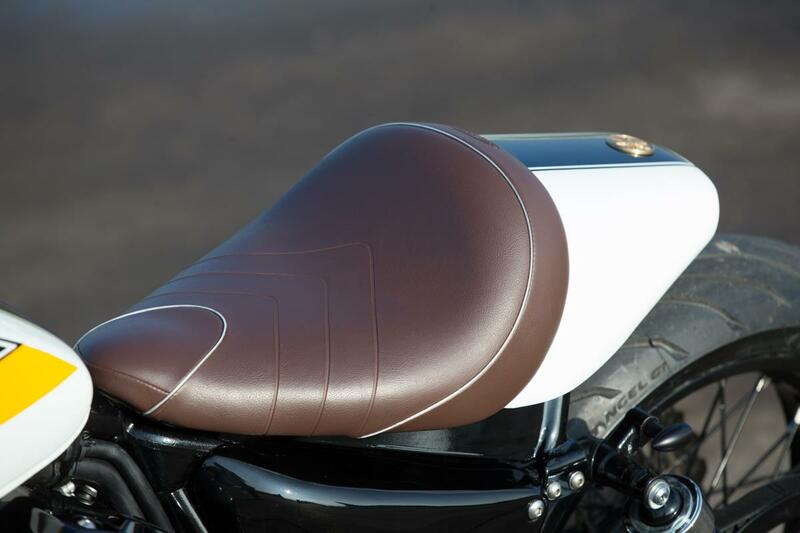 An old addage that Scott Lloyd - the man behind the upholstery - obviously knows a lot about because he delivered a perfect example of refined minimalism with the distinguished metal wire piping on the seat. Something I hope that we’ve echoed with the nod to that famous livery that local painter Alan Boxall from Elite Panel Craft sprayed onto the tank. Custom fairing with relocated stock speedometer, seat pan, tail unit, side panels and air intake. Original 16” and 19” wheels changed, now both 18” with a lowered stance and new top yoke. 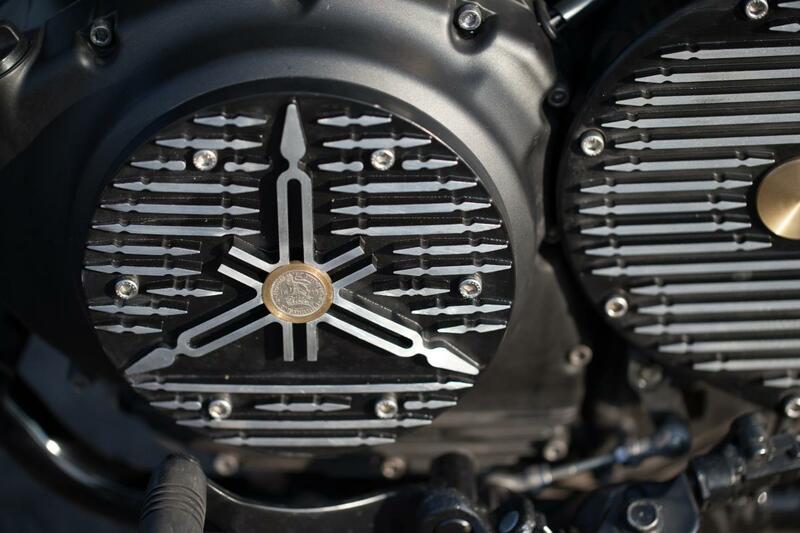 Aluminium, CNC-machined side engine covers. Hageman MC sub-frame assembly to raise rear seat-height. Sandqvist ‘Wrenchmonkees’ toolbag - to say thanks for their inspiration! Vance & Hines Competition Exhaust with FuelPak. 40 spoke, custom built, satin black wheels. 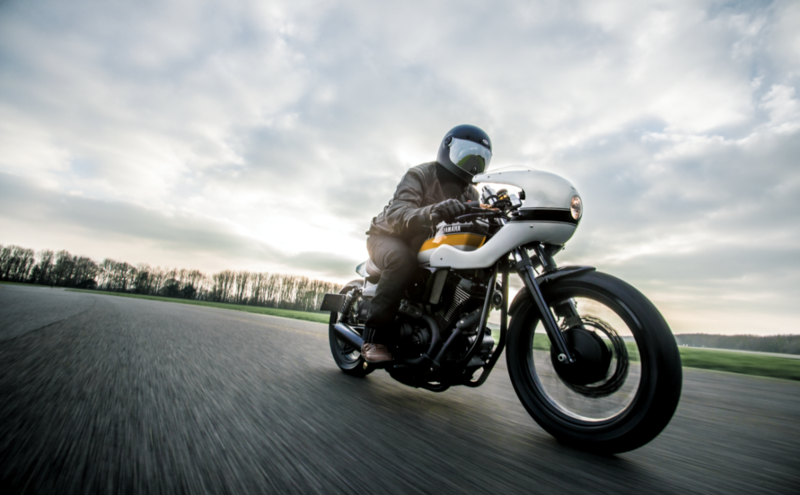 When I set out on this project I was determined to produce a bike that would be great to look at, great to ride and - as equally important - great fun to build. The restrictions from Yamaha actually forced us to find cleverer solutions to some of the trickier design problems and now (as Lamb Engineering are putting their specific parts into production) we’ve got a new XV950 that can be created during a long afternoon’s tinkering in your own garage. Imagine the nerves when I received a call from Yamaha a few week’s ago to tell us that they’d like to talk about our own, humble build? 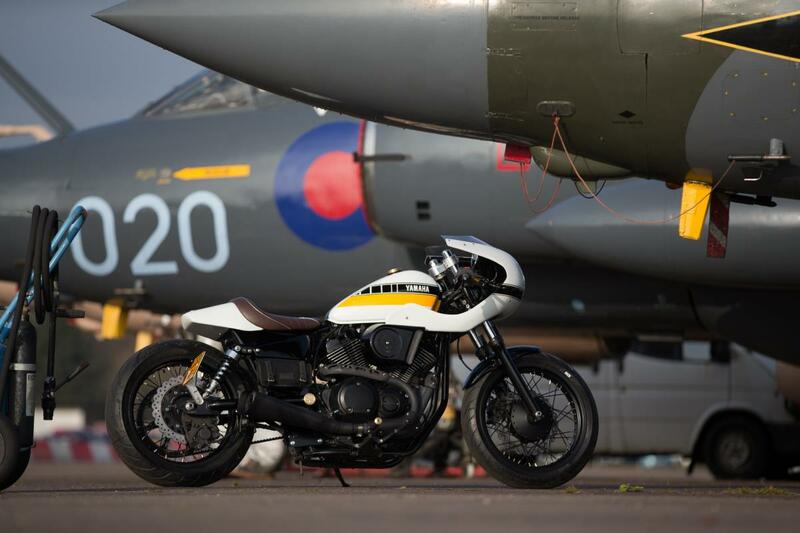 What would they think about our XV950 Bullet bike - the 'Dangan' - would they be ok with what we had done? The answer - happily - is a resounding yes! 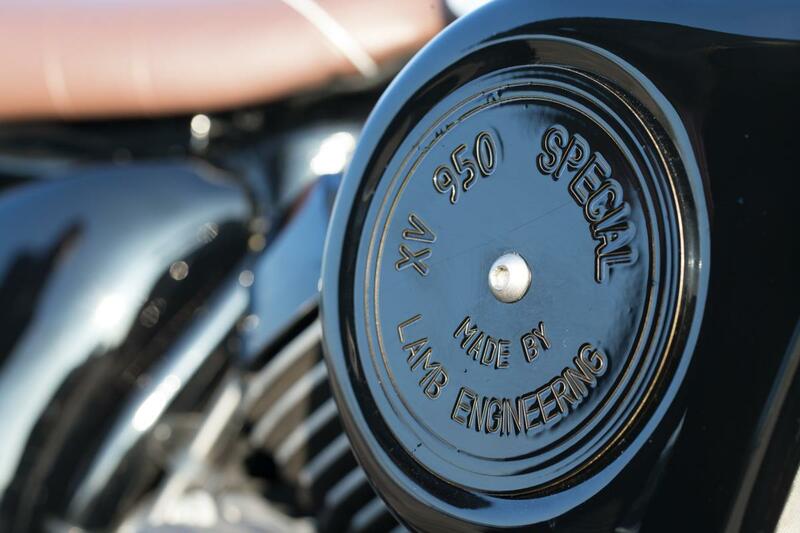 It’s with pleasant surprise but a lot of pride that I can announce that this bike has been chosen to join their ranks as the latest in the line of XV950 Yard Built specials. The Bullet has hit the bullseye! Lamb Engineering, Holographic Hammer, Mag-Europe, Elite Panelcraft, Yamaha UK, Central Wheel, Rizoma, Scott Lloyd, Magura, Pirelli, Sandqvist, Venhill, Greg Hageman.